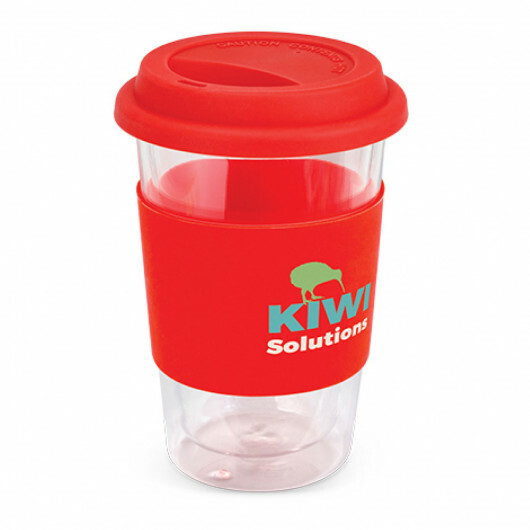 Re-use these over and over again for environmental benefits and long lasting impressions. 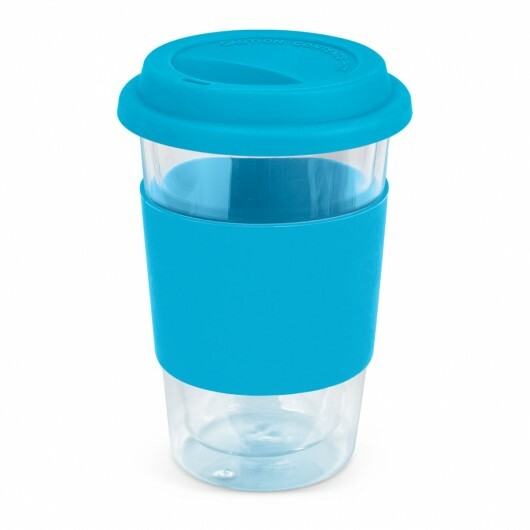 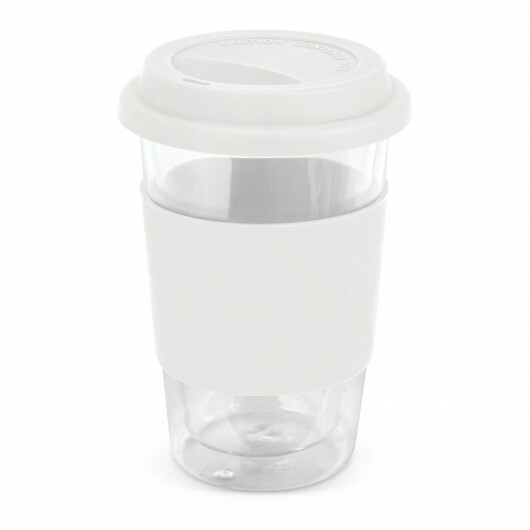 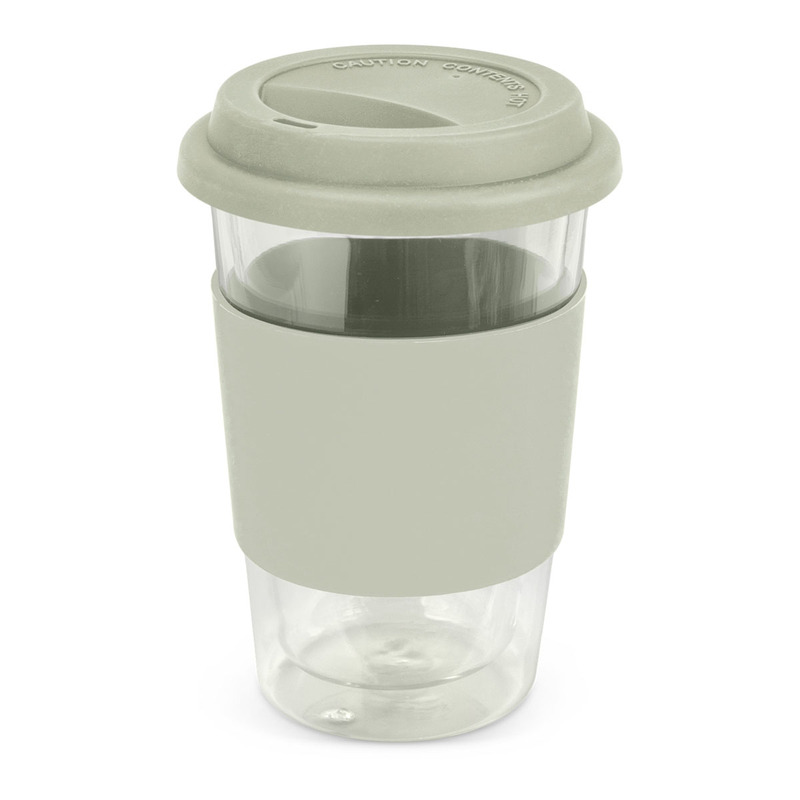 These on trend 350mL double walled borosilicate glass coffee cups are an eye-catching coffee cup with a one colour print of your logo. They feature a secure push on silicone lid and large silicone band which can be Mix n Matched with the colours available. They come presented in a black gift box and handwashing is recommended.